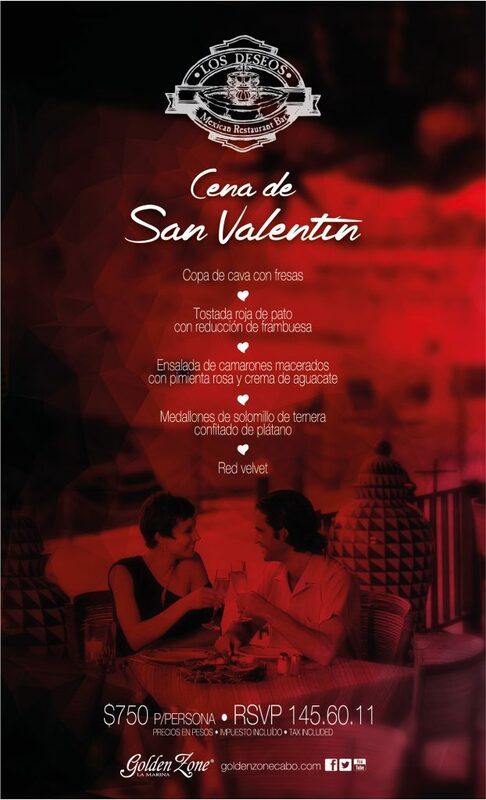 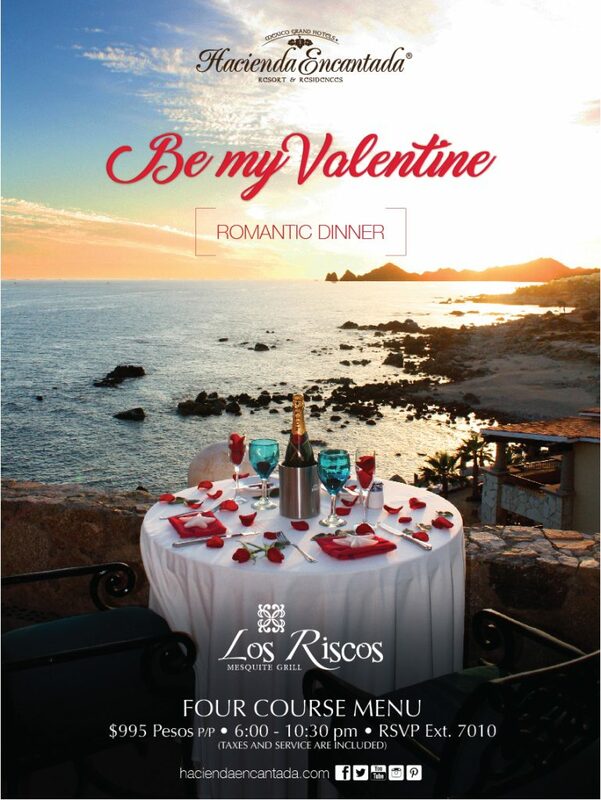 This entry was posted in Cabo San Lucas, February, Los Cabos, MENU, Restaurant, Valentine’s Day and tagged Cabo San Lucas, dinner, Mexico, restaurant, Valentine's day on February 13, 2018 by Luis Lagunas. 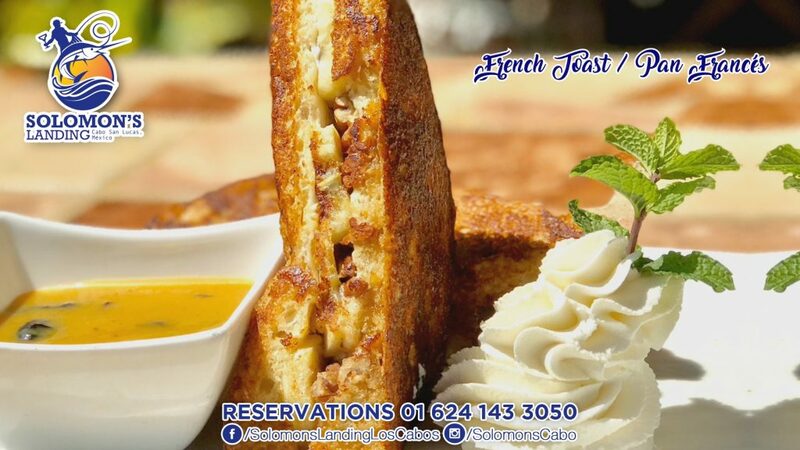 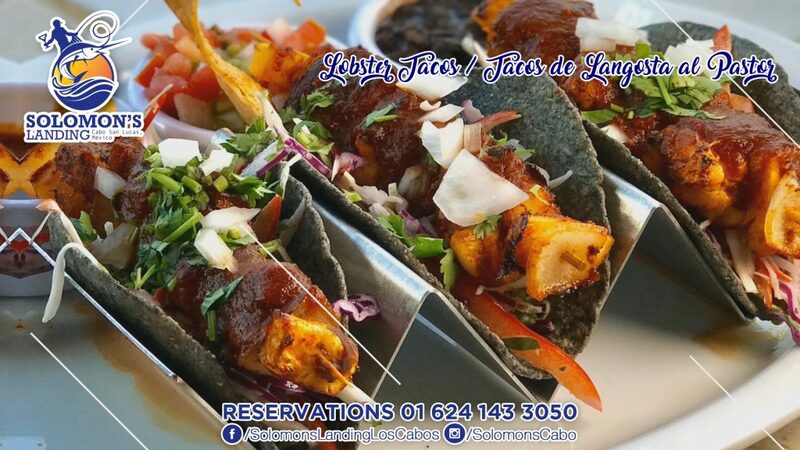 This entry was posted in February, Los Cabos, Los Cabos Restaurants Events, MENU, Restaurant, Valentine’s Day and tagged Cabo San Lucas, dinner, Mexico, restaurant, Valentine's day on February 13, 2018 by Luis Lagunas. 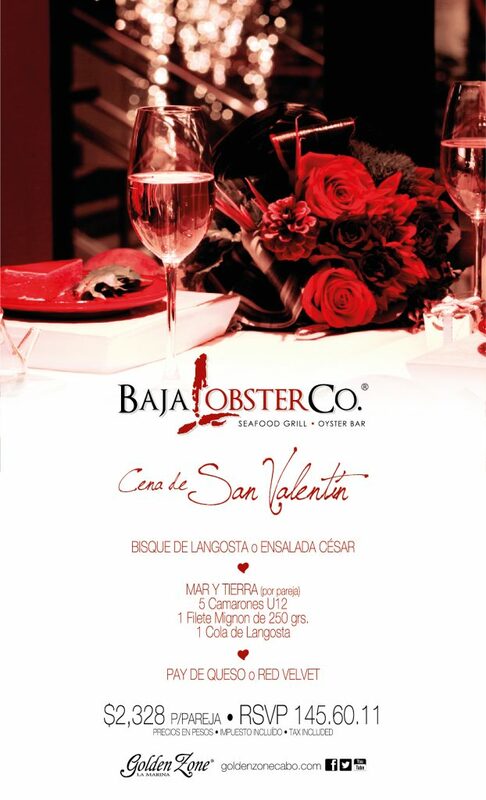 Valentine’s dinner – Baja Lobster Co. 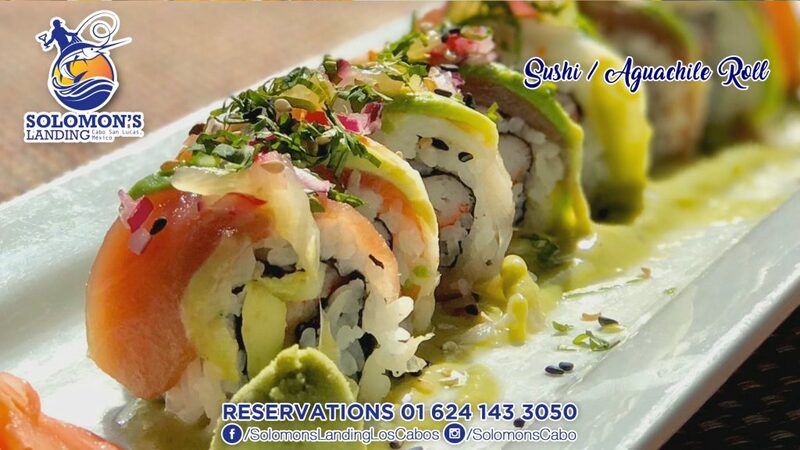 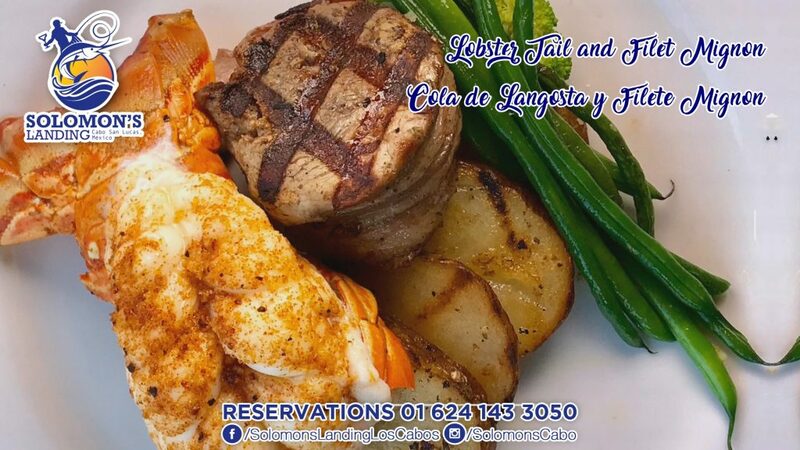 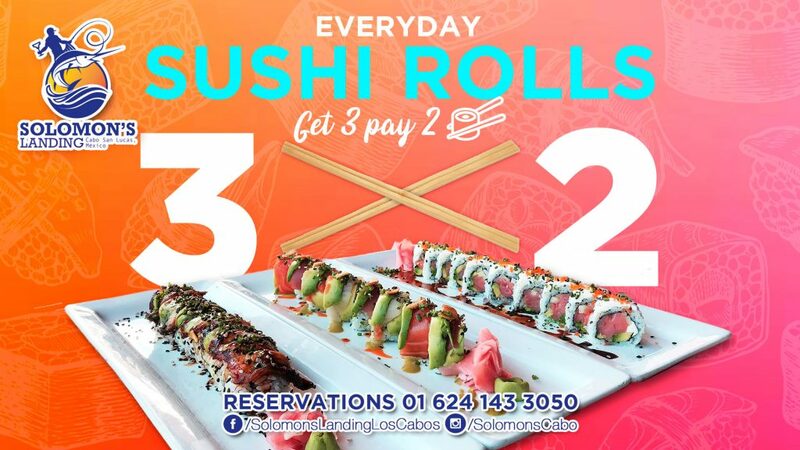 Address: Paseo de La Marina 37, El Medano Ejidal, Marina, 23450 Cabo San Lucas, B.C.S. 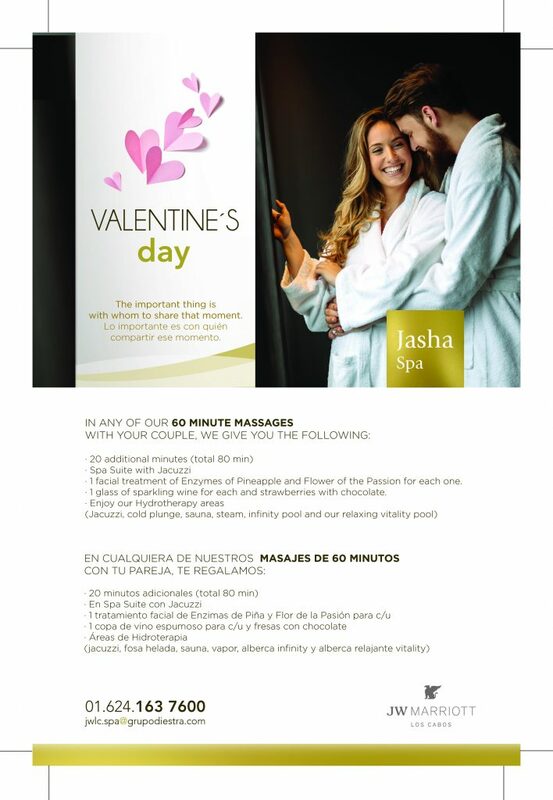 This entry was posted in February, Los Cabos, San Jose del Cabo, Spa, Valentine’s Day and tagged Mexico, Relaxing, san jose del cabo, Spa, Valentine's day on February 13, 2018 by Luis Lagunas.